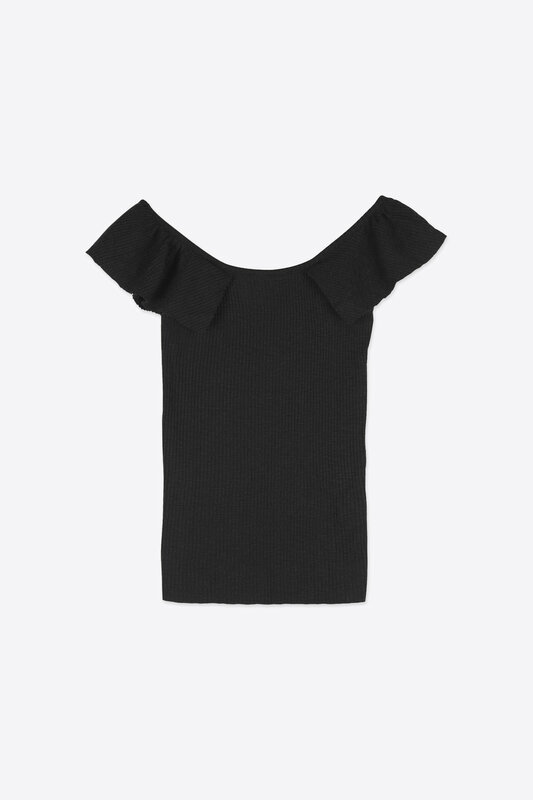 Crafted from an ultra-soft cotton blend, this ribbed t-shirt features an off-shoulder design with subtle flutter sleeve detailing for an effortlessly feminine look. Comfortable with a sophisticated look, this versatile piece can be styled up or down for any occasion. Pair with a denim miniskirt and sneakers for a cute and casual day time look. 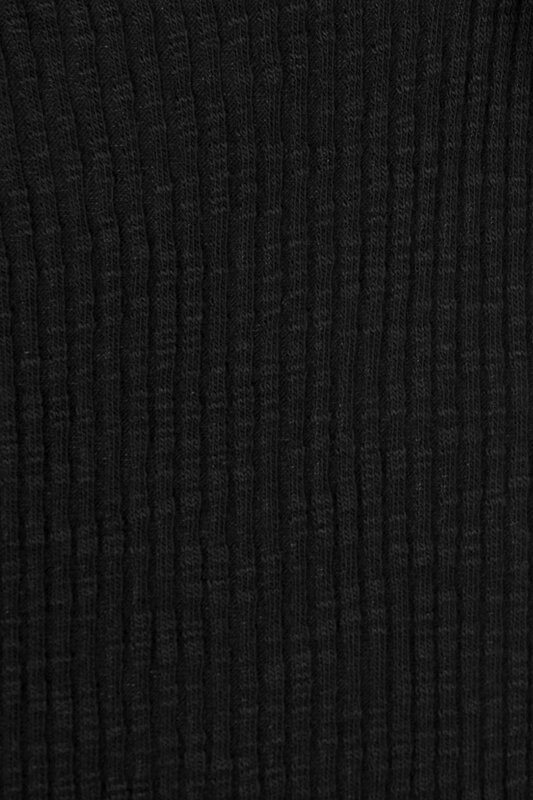 Fabric Content: 97% Cotton, 3% Spandex Care Instructions: Machine wash cold, tumble dry low, or lay flat to dry. Cool iron.